This film focuses on the conflicts and determination of a group of people trying to survive and maintain their ethnic identity in the face of almost overpowering odds. 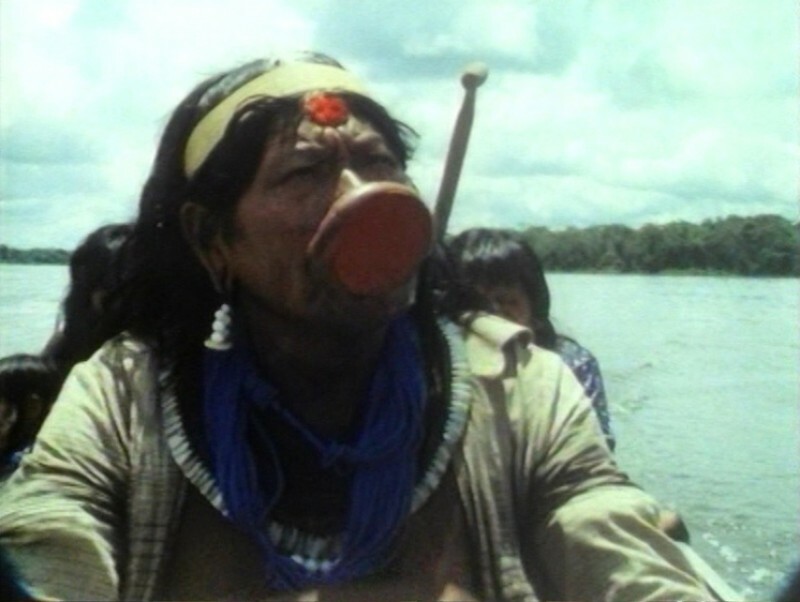 The film contrasts the reactions of two groups of Kayapo to outside influence. The Kapot have opposed contact and resisted both non-indigenous Brazilian settlers and gold miners. The Gorotire, by contrast, were invaded by gold miners who strip-mined their land and polluted their rivers. The miners paid the Gorotire very little for the destruction until 1985 when the Gorotire forced the miners to raise the commission by 5% when 200 warriors seized the airstrip. This commission amounts to two million dollars per year for the tribe and the tribe is learning to cope with the money, both with the problems it brings and the power it gives. They have trained several of their number to deal effectively with the outside world on behalf of the rest of the tribe and they now run a plane (and hire a pilot) to patrol their land against intruders. The Kapot, in their own way, are also trying to assert their identity and independence. This portion of the film shows the Kapot in the traditional activities of building and dismantling a hunting camp. The hunters returning with the tortoises they have caught are a particularly impressive sight. The now famous Chief Rop-ni is featured as a leader of the Kapot and he states eloquently his opposition to the Gorotire’s acceptance of the gold miners. Despite their adherence to tradition, however, the Kapot use modern technology – video, radios, etc. – to protect their interests and record their rituals. A series of portraits of life in a Zapatista indigenous community in Chiapas, Southern Mexico. The Zapatistas are a defiant indigenous peasant rights movement from Chiapas, the southernmost state of Mexico, which took up arms and occupied San Cristóbal on 1 January 1994, the day Mexico signed up to Nafta, the North American free trade agreement. This film invites us into the people’s everyday lives, and presents their own views of the fight against misrepresentation and oppression, and gives a portrait of their autonomous way of living and how they have developed their own education, health, justice, government and security systems.